Thanks for sponsoring White Label Space! 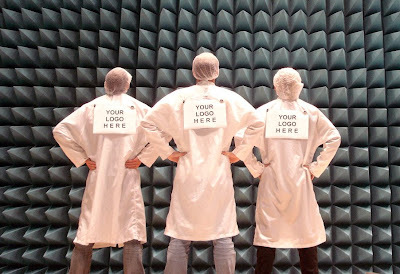 If you would your name, photo and message to appear on our website and promotional material, please confirm by emailing: sponsorship@whitelabelspace.com. 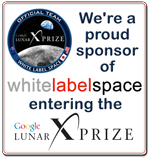 White Label Space is a brandless space technology start-up founded by a team of international space professionals competing in the Google Lunar X PRIZE. Together with our Partners we are creating the first ever "White Label" space mission - ready for the brand image of powerful sponsors with the vision and courage to create profound and enduring legacies by being part of the first privately funded effort to land on the moon. Every aspect of our GLXP mission, from the naming rights of our space vehicles to the suits worn in our clean rooms, is available for the messages of our sponsors. Space exploration, and particularly lunar exploration, is on the verge of a new revolution of low cost ambitious missions. This revolution is fuelled by the frustration that humans haven't been to the moon in our lifetimes, and driven by the engine of the internet with all its possibilities for new media, communication and collaboration. The majority of us work as space engineers, scientists and technologists. We know that the technology needed to go to the Moon is far less demanding than what exists in today's typical handheld electronic devices. The real challenge in the GLXP lies in linking humanity's natural urge to explore space with the financial forces that determine the efforts and energies expended in this world. Our mission is to provide brandless space missions to anyone that has a viable business plan, taking the principles of Web 2.0 marketing & monetisation to the next level. White Label Space is developing a first-of-kind space mission with a number of unique investment opportunities. In fact, developing innovative and scalable 'picks-and-shovels' type solutions is at the heart of White Label Space's plans for the Google Lunar X PRIZE. The space industry is currently undergoing a transformation, whereby commercial industry is showing that it can provide key innovations faster and cheaper than governments. As has been the case throughout history, early investors will be the ones most likely to reap the benefits of these new markets. Today the world's population consumes almost 70% of its information in digital format, and that consumption is mostly controlled by consumers who choose exactly what they want to watch in their limited time available. In previous years the marketer's challenge was to maximize the attention for ad time they purchased, but in today's on-demand world the marketer has to fight just to be played at all. White Label Space produces exciting and inspirational and original content for the internet and other media that people want to watch - a perfect way to increase your brand's exposure or convey a marketing message! White Label Space's highly qualified and capable team of space professionals is preparing for the most ambitious space project ever attempted without the direct assistance of governments. The general public is fascinated by space exploration and is eager to follow the team's challenge to explore the Moon's surface and beyond. The team is looking for sponsors, big and small. The sponsors will receive extensive media exposure with an integrated marketing message tailored to their specific needs. The major sponsors will also have the option to purchase naming rights for our Google Lunar X PRIZE mission and its major elements.